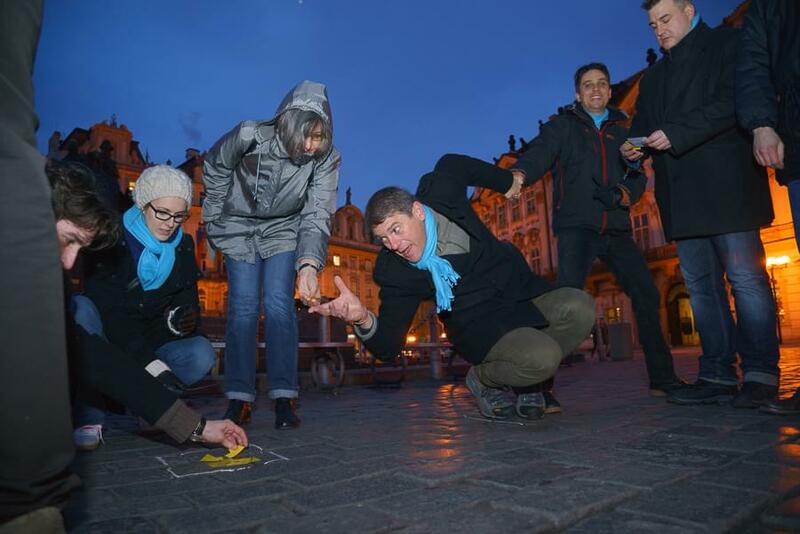 The Prague Treasure Hunt is ideal for groups looking to discover Prague in an interactive and exiting way. Small teams compete through the streets of Prague, fulfilling various team building tasks in order to succeed in their treasure hunt. This fun, energetic and interactive team activity develops a team spirit, unity and sense of achievement, while at the same time overcoming communication barriers, solving problems and building trust within the team. The event will begin with a brief meeting and explanation of the treasure hunt, how scores are accumulated and how the teams will work together. Groups will be divided into several teams of 5-7 competitors each. Each team is given an historical map with 10-15 Prague locations marked. On the reverse side of the map are clues and the riddles to help your team find each location. 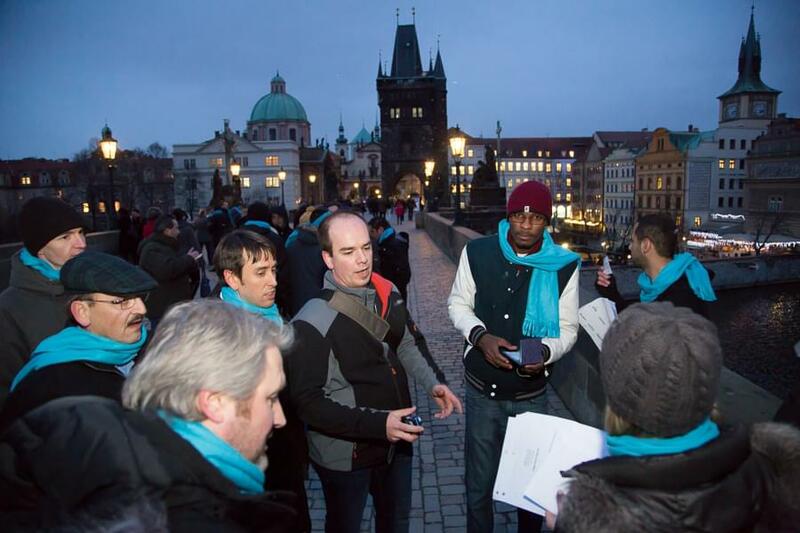 The team needs to work together to develop a strategy for which locations in Prague to find first, as well as which clues to answer and how to solve them. 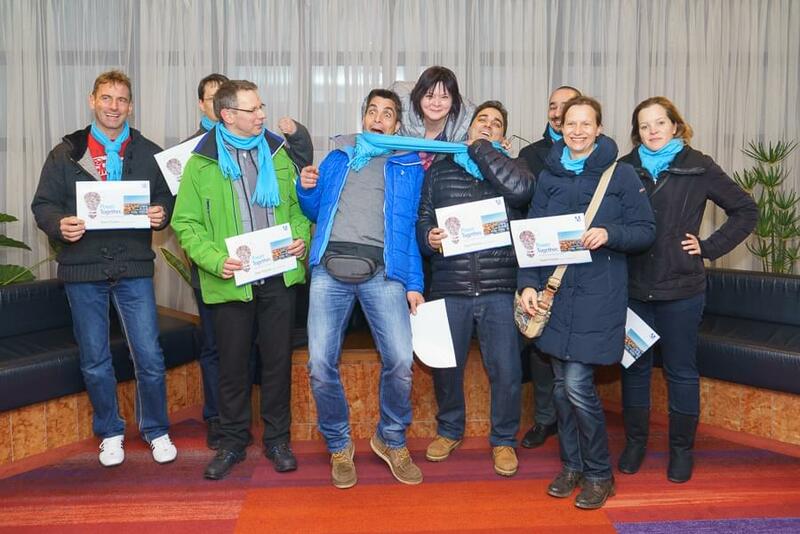 Throughout the treasure hunt, teams are on their own and will visit key sites of interest and historical locations in downtown Prague. In addition to the set activities, there are several surprise bonus check-points! We suggest ending the programme in a restaurant where attendees can describe their adventures, and the winning teams can be declared and awarded. The Prague Treasure Hunt is usually scheduled for 2-2.5 hours, but it can be completely customised in regards of start and ending points, as well as the duration.